IGL’s client retention and loyalty is extremely high due to the close working relationship that is built between the client which is based on trust, customer service and quality of delivery. As our business has evolved IGL has adopted leading technologies, in early 2014 IGL became a Quick Base Solution Provider in order to deliver powerful cloud computing applications for CRM and Customer Support. Since becoming a QSP IGL has developed many bespoke Apps covering a diverse range of IT applications on Quick Base for our clients. From Debt Recovery through to Construction and Property Management. Our team has many years of working experience within industry and will listen to you and understand your companies needs. Then working with you, will deliver a focused solution that meets your individual requirements. IGL is situated between the villages of Steeple Ashton and Edington and central to Westbury, Trowbridge, Melksham and Devizes. 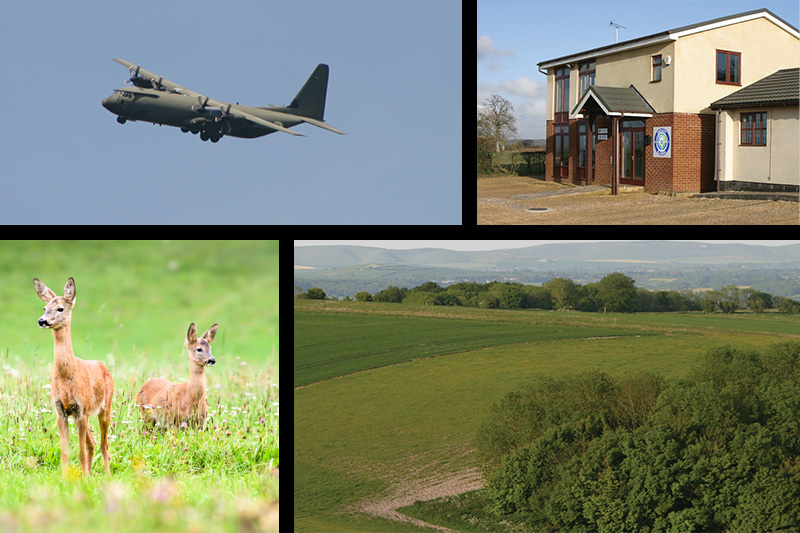 The offices overlook open fields where we see lots of wildlife including deer, hares, birds of prey, pheasants and partridges. Keevil airfield is nearby and we regularly see C130 Hercules aircraft carrying out low level drops and Apache Helicopters exercising over Salisbury Plain. January 5th Insight Global Limited was formed. IGL delivers a new product launch for a new cable locator; the RD4000. The project included user guides, manuals, product labelling, multimedia training guide delivered on CD and all marketing materials. The full project was delivered within 12 months ready for the product launch in 29 different countries. IGL with Radiodetection produced a new e-learning tutorial for Transco in order to reduce classroom training and open up more time for practical application based training. IGL relocate to Westbury in Wiltshire. IGL launches its first online shops. IGL focuses on online technology to improve project management and our first client login facility is launched. IGL wins contract with a large farm management company to redesign and develop their website. IGL start a new website shop for Somerford Mini, a project which would eventually be completed in 2009 after 17 phases and 14,000 linked products to exploded view technical illustrations. IGL increased its e-commerce business as the recession started to drive clients into looking to strengthen sales from the internet. Somerford Mini's full spares catalogue is completed. IGL win our first overseas client in the USA. IGL win contract with major aerospace and defence company. IGL focus on internal operations, procedures and IT systems as we start a three year business development plan. IGL relocate to offices in Edington where we have a design and development studio together with a full training and project management meeting room facility. IGL secures a major O&M technical documentation project for Schneider Electric supporting their systems installed in a major MOD facility. In early 2014 IGL becomes a Quick Base Solution Provider in order to offer CRM and Customer Support solutions to clients. IGL starts to win bespoke projects for business management applications on Quick Base. IGL start development on our own QuickBase Apps and start IGL Cloud, setup to offer QuickBase to micro businesses and business startups. IGL enters into its 15th Year.